Are you fond of fame? – Of course, I am an artist indeed. My sphere is the concert hall, stage, audience. Victor Victorovich Rovdo (1921 – 2007) was a People’s Artist of the USSR. He began the Belarusian phase of his creative work in August 1956 after he had graduated from classes led by the People’s Artist of the Republic of Lithuania K. Kavyatskas at Vilnus music conservatory and had finished postgraduate studies under the direction of the People’s Artist of the USSR Professor Sveshnikov at the Moscow State conservatory named after P. I. Tchaikovsky. For over four decades he was the immortal leader of two choirs – the students’ choir of the Belarusian State Academy of Music and the choir of Belarusian radio and television. He was a true leader of the Belarusian school of choral conducting and a “patriarch” of national choral art. His short biography will show how the amazing sequence and purposefulness of one man’s life can present an epoch of choral celebration to the whole country. 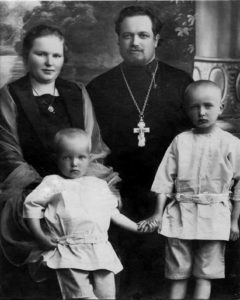 Victor’s father priest Vladimir Rovdo settled down with his family in Smorgon which was part of Poland from 1920 to 1939. The Orthodox Church in Smorgon was destroyed during the war 1917–1918, so Father Vladimir equipped one of the rooms of his house as a domestic church. 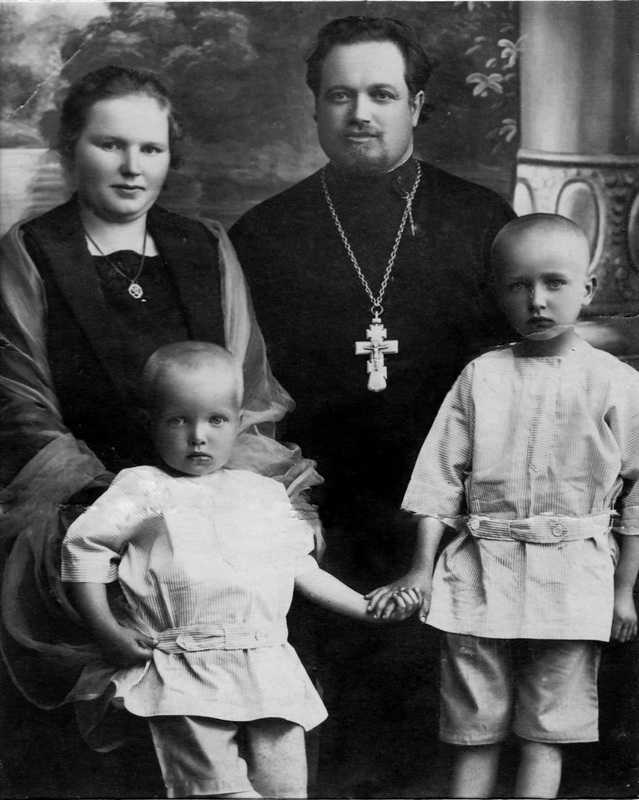 In the other room Father’s Vladimir’s second son was born in November 1921. He was called Victor in honor of the holy martyr Victor. As a result of this, Victor Vladimirovich often said that he “was born in a temple”. In 1926 a primary school teacher in Smorgon discovered the boy’s extraordinary abilities for music, and in autumn 1929, together with his older brother Anatoly, Victor Rovdo entered Vilnius seminary. The Vilnius phase (1929-1951) in the biography of Victor Rovdo is connected with studying Latin, Greek, German, Polish and Belarusian, learning mathematics, physics, chemistry, natural science, logic, rhetoric and, of course, training in vocal skills, how to be a good precentor and learning music-theoretical subjects. In autumn 1936, when Victor Rovdo was almost 15 years old, the rector of the seminary presented him with a tuning-fork and appointed him the precentor of the seminary chorus for weekday divine services. This is when the activity of the young conductor Rovdo began. 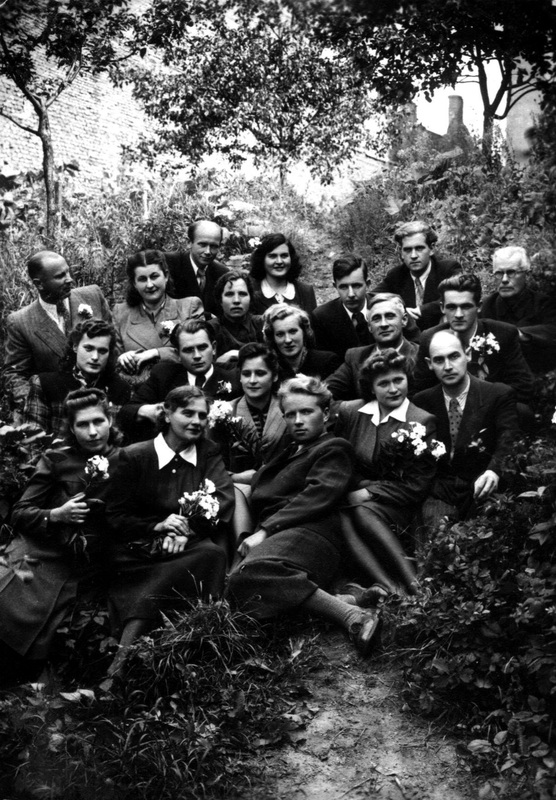 At the end of the 1930s small vocal groups were especially popular in Vilnius. Some seminary students together with Victor organized a vocal ensemble that often performed during church and secular celebrations. In the autumn of 1938 some seminary students received an invitation from Grigory Romanovich Shirma to jooin his chorus in which progressive Belarusian young people came together, Belarusian folk songs were sung and the Belarusian language was spoken. As early as June 1940, after the beginning of the Second World War, Victor Rovdo, among other graduates, received the graduation certificate of Vilnius Divinity School, an institution which was not recognized by the Soviet government. The mother of the future conductor, Stefanida Rovdo, badly wanted her children to be doctors, so during the war, in 1942 and 1943, Victor Rovdo, together with a group of other enthusiasts, attended lectures at a clandestine medical school. 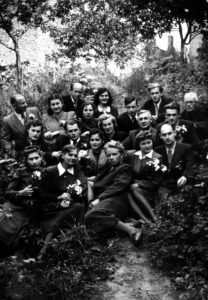 They succeeded in concealing these lessons from the Gestapo for quite a long time, but eventually the secret educational institution was discovered and students were surrounded by their enemies. Victor escaped by the skin of his teeth, hidden behind a bath-tub full of formalin in the cellar where the dissecting room was. After the war ended the question “What should I do?” came up seriously for Victor. He didn’t want to give up his hobbies, so in summer 1945 he entered both the medical faculty of Vilnius University and Vilnius conservatory. He managed to get everywhere in time because of having a motorcycle. From 1946 he led a choir at the Monastery of the Sacred Spirit which consisted of conservatory students such as singers and composers of choral music. Many choristers came from priesthood families. This took place at an incredibly difficult time for religious denominations in the USSR. Somebody made a denunciation to the conservatory administration that Rovdo together with some other students had taken part in an Easter vigil. The day after Easter the leader of the choir, non-Komsomol (!) Rovdo, was dismissed from the conservatory by the decision of the administration. One year later Victor Rovdo was reinstated in the fifth course with a brilliant character reference from his place of employment (leading the choir of the officer’s wives at the military airbase outside Vilnius), and after he had successfully passed his final examination at the Lithuanian State Conservatory, in late autumn 1951 he arrived in Moscow to take up a postgraduate studentship at the Moscow State Conservatory. In Moscow from 1951 to 1956, during these postgraduate studies, Victor Rovdo worked as a concertmaster (from March 1952), then as choirmaster (from December 1954) of the State Academic Russian Choir of the USSR, and also as chorus master of a boys’ choir at the Moscow song-school (from March 1952) as well as a chorus master at the opera studio of the Moscow Conservatory named after Tchaikovsky (from March 1954). In Belarus professor V. Rovdo showed his intense creative vitality for the first time when working as a choirmaster with the State Choir of the BSSR (1956-1965). 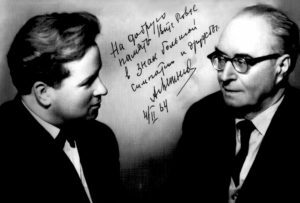 From September 1965 V. V. Rovdo was already working as chief conductor and artistic director of the choir of Belarusian radio and television. In August 1990 V. V. Rovdo was awarded the honorary title “Academic” for major achievements in the development of the art of choral music, and in September of that year he was awarded the honorary title “People’s Artist of the USSR”. Starting in 1956, the active pedagogical work of Victor Rovdo at the Belarusian State Academy of Music worked in three different ‘threads’ (for 50 years! ): heading the Department of Choral Conducting, leading student choirs and teaching choral conducting. Over the years of work with student choirs (from 1961) more than 800 chorus masters went through his school, his pupils now lead church and professional choral groups, sing and teach music and singing to children. V. Rovdo considered Alexander Sveshnikov to have been his chief teacher, an outstanding choral conductor in the Russian choral tradition, the greatest interpreter of Russian folk songs, and one of the last “Synodals” – members of the Moscow Synodal Choir (http://en.wikipedia.org/wiki/Moscow_Synodal_Choir). This man gave him a “start in life”. 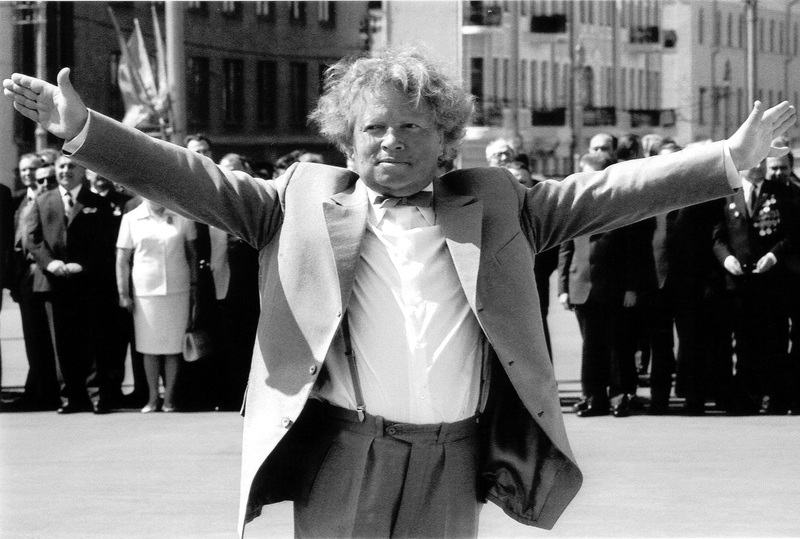 In 1972 V. Rovdo organized the arrival of A. V. Sveshnikov in Minsk. The chief choirmaster of the National Opera House of the Republic of Belarus N. I. Lomanovich describes that meeting: “Alexander Vasil’evich Sveshnikov was quite old and worked with us sitting on a chair. I even have a photo of him. Then we sang a concert. Sveshnikov conducted some musical pieces. We were affected by the attitude of Victor Vladimirovich, maestro-musician, to his teacher – deep respect and absolute worship”. 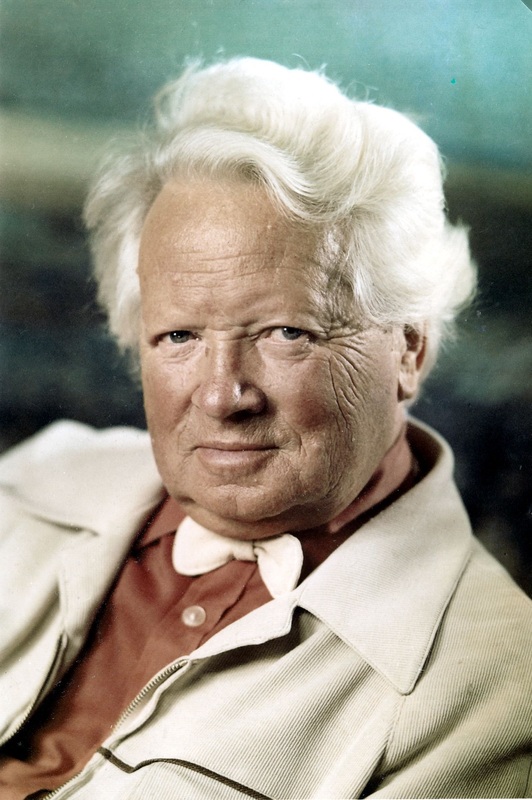 For Maestro Rovdo the concept of “exemplary tone quality” was connected first of all to the intensity and depth of sonority which was typical for choirs under the direction of A. V. Sveshnikov. The pride and joy of any choir – in the opinion of V. V. Rovdo – are the basses, “Russian”, manly and high-souled, full and mellow, with the obligatory presence of octavists. The light and powerful sound of tenors was combined with the chesty and intensive tone quality of the altos. These two sections, like Romeo and Juliet, had to complement and enrich each other. The singing tone of the sopranos was to be mild, even, without the flickering silveriness which usually accompanies the sound of the top line of a choir. The blending and merging into one chord of all choral voices should make the impression of a perfectly tuned instrument – an instrument that happened to consist of voices. Rovdo as a conductor had colossal power of influence on his choirs. He possessed a sort of magnetism, the strongest energy emanating from a conductor, from his whole figure, from his face, the movements of hands and fingers. The musicians hardly noticed that their conductor’s gestures were reserved and restrained, even laconic, because choirs were an instrument which he played every day. His teacher A. V. Sveshnikov passed on to Victor Vladimirovich Rovdo the need for special attention and a solicitous attitude to the word in choral scores. On the one hand, he aimed to place semantic key points in the poetic text correctly, to put main words first, to estimate the rate of “relevant” and “irrelevant” syllables for singing, to assure clear word intelligibility for each element of verbal “clue”. On the other hand, the final “reading” of a verbal text was carried out entirely according to a performing super-task – to open a deep sense of the content, to move the listeners deeply. The students’ concert choir of the Belarusian State Academy of Music (it was renamed in 1992) under the direction of V. Rovdo achieved powerful successes. In June 1995 this choral group won the Grand Prize at the first international choir festival in Chisinau (Moldova) in the category “Choirs from musical high schools in Europe and CIS”. In March 1997 the choir was awarded two cups and three gold diplomas at the second international choral competition in Darmstadt (Germany), where it also received the highest award – the “Oskar”. 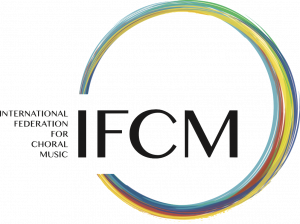 In May 1997 the concert choir of the Belarusian State Academy of Music received the grand prize at the sixteenth international festival of church music in Hajnovka (Poland). The son of a priest, former seminary student, surgeon, musician, People’s Artist of the USSR, professor, academician of the Slavic International Academy, artistic director of the choirs of Belarusian radio and television and the Belarusian Academy of Music, excellent art critic, winner of two state awards and last but not least the beloved husband of the opera diva Sofia Voevodskaya , in her time a star on the stages of Vilnius and Minsk, and apart from all that an interesting conversationalist with no less interesting a life story, was the Teacher of our life. In the American bibliographic encyclopedia “Who’s Who in Classical Music 2002” we find that photography was a hobby of Professor Rovdo’s. Many of the photos in this article come from V. Rovdo’s personal archive. This article is based on an interview with Professor V. Rovdo for periodicals in the Republic of Belarus and on the graduation library-research paper “In memoriam of Maestro Victor Rovdo” by one of the professor’s last pupils, Olga Korzh. Her professional work is connected with the temple of the blessed prince Alexander Nevsky in Minsk. Now the Church of the Transfiguration stands in the place of the former house of priest V. P. Rovdo. From 1920 to 1939 Vilnius was under Polish occupation; it was called officially Vilno. The brother of Gennady Tsitovich, Alexander Tsitovich, directed this group. At the beginning of the 1940s he was arrested because of being falsely denunciated and died in prison. The older brother of Victor Rovdo, Anatoly Vladimirovich, arrived in Krakow after the war, completed his course at the medical faculty of the Jagellonian University and stayed in Poland, working as a doctor. He died in Poland in 2008.